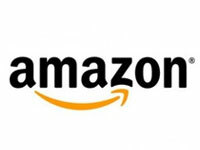 There is an easy ways to raise money for us simply by shopping on Amazon.co.uk. It costs you nothing. come to our website and use the Julbo sunglasses for infants link on the right side of many pages such as Support us. visit Give As You Live and find the Amazon page. Use the Shop now link. You will have to sign-in/up if you have not already done so. The Give As You Live method works on many other websites as well. To identify these they provide a plugin for your web browser. It only pops up when on a participating site – a really useful reminder. However Amazon have stopped the toolbar from working on their site! So please remember to use one of the methods above whenever using Amazon. To date we have received £200 just from these simple actions. The more people who take part the more we will get so take part and encourage others to do likewise.